How to Prevent a Plumbing Crisis This Spring! Winter’s nearly over, and with the change in weather comes increased motivation to get necessary repairs made in your home. 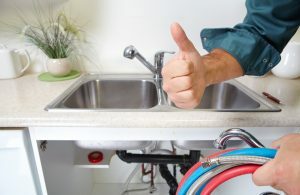 Plumbing issues can cause roadblocks in the effective running of your household, so taking care of them first and foremost is an excellent use of your time and resources. Check for leaks: If your faucets are leaking or dripping, now is the time to get to the bottom of the issue and make repairs that can save water, money, and future crises down the line. But don’t stop there; toilets often contain hidden leaks. Try adding a few drops of food coloring to your toilet tank and observe whether you see the water in the bowl turning blue. If this occurs within 30 minutes, you may have a leak. Get strainers for all drains: Ensure that every drain in your home has a strainer to prevent soap, debris, and hair from clogging the lines. You’ll be amazed at the clumps of detritus that begin to build up on top of the strainer, no longer allowed to block your pipes. Get a good flush: If you’ve noticed that you need to hold the toilet handle down to attain a longer flush, or that you have to jiggle it to prevent water from running, you may have worn down parts in your tank that require replacing. Doing so is inexpensive and will result in a lower water bill and more productive flush, making it worth every penny. Adjust your water heater temperature setting: To prevent scalding and reduce wasted energy, be sure to set the temperature no higher than 120 degrees F.
Drain your water heater: In order to avoid the buildup of sediment at the bottom of your water heater, which can reduce the heating efficiency and life of your heater, drain several gallons from the tank. Clearing out the junk makes sure your heater runs optimally. If you require assistance with this task, call us! Replace water heaters that are over 15 years old: If you’ve ever looked at the serial number on your water heater, you may know that the first four numbers represent the month and year of the model. If your heater is 15 years or older, consider purchasing a new, more energy efficient model. However, be sure to do so before April 2015, at which time higher efficiency standards for water heaters will take effect, increasing the price of water heaters and installation by 50 to 100 percent. Spring is a great time to get a head start on any home-based projects you put off over the winter. Need help getting started? Our team at Simpson Plumbing Inc is happy to help!